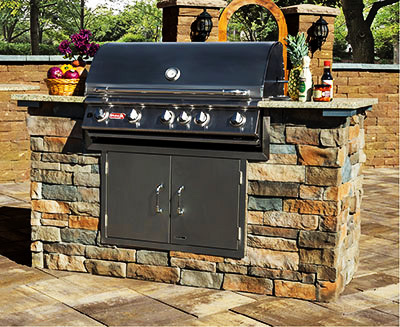 polished granite countertops, and come complete with a premium grade, Stainless Steel Appliance Package.Consider placing one alone on a concrete pad or next to a Cambridge Outdoor Pizza Oven for an ultimate backyard cooking experience. 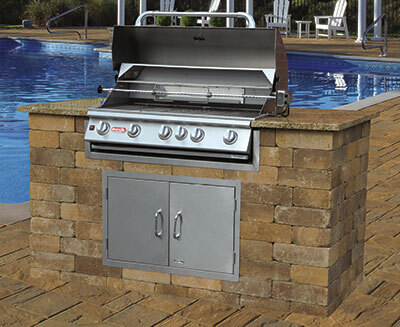 Made in the USA, our all-in-one smokers offer all of the conveniences of a gas grill with the unmistakable smoky-flavor that comes from real wood-pellet cooking. Instructions and recipes included. 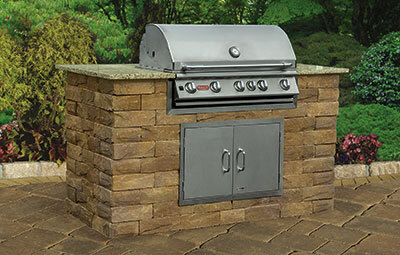 This compact yet versatile gas cooking and grilling component has all of the grand conveniences that barbeque aficionados put on their wish lists – durable Cambridge hardscape materials, a polished granite countertop and a band of granite tiles on 4 sides. 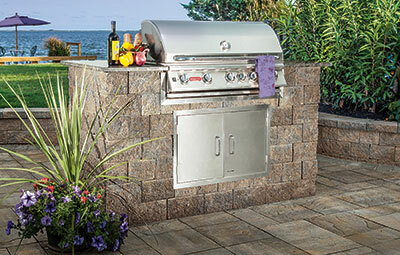 Complete with a premium grade, Bull™ Stainless Steel Appliance Package. 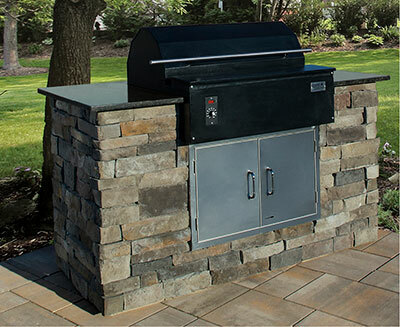 Consider placing one alone on a concrete pad or next to a Cambridge Outdoor Pizza Oven for an ultimate backyard cooking experience. 75 1/4″ long, 36″ deep and 38″ high. Weight: 3,985 lbs. 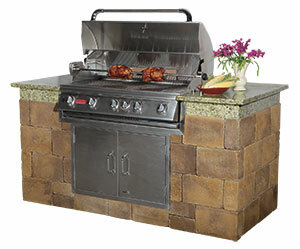 And Granite Tiles Venetian Gold.